After first unveiling the mid-range Nokia Lumia 930, Microsoft has now launched the handset in India after a long delay. 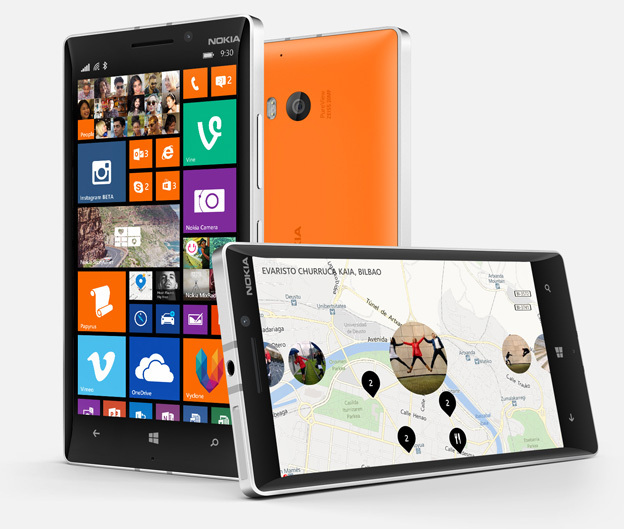 Microsoft has announced the launch of the Nokia Lumia 930, which is the company’s latest flagship smartphone. The device has a 5 inch ClearBlack AMOLED display with Corning Gorilla Glass 3 protection and resolution of 1920 x 1080 pixels. The smartphone is powered by a 2.2 GHz quad core Snapdragon 800 processor with 2 GB of RAM and 32 GB of internal storage. The Nokia Lumia 930 has a massive 20 MP rear facing auto focus PureView camera with Zeiss optics, OIS and dual LED flash. There is also a front facing 1.2 MP camera with wide-angle lens. The device runs on the latest Windows Phone 8.1 version with the Lumia Denim update. The handset is priced at Rs. 38649 and would go on sale starting from October 15.